PA body passes motion suspending all agreements with Israel until it recognizes Palestinian state built on 1967 borders. Security cooperation between the Palestinian Authority and Israel could soon come to an end, as a top Palestinian body passed a motion to suspend all agreements with Israel until it recognizes a Palestinian state built on the 1967 borders. The final decision rests with Palestinian Authority President Mahmoud Abbas, who says he will not ignore or put aside the vote. Monday night’s decision by the Central Committee would bring an official end to the Oslo Accords signed in September 1993. 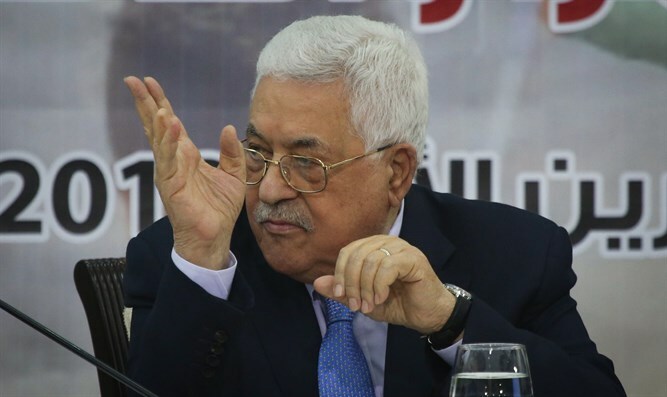 However, the decision is nonbinding, the official Palestinian Authority news agency WAFA reported, and requires the approval of PA President Mahmoud Abbas. The Central Committee said the Palestinians “suspend recognition of the State of Israel until its recognition of the State of Palestine on the June 4, 1967 borders with East Jerusalem as its capital, end security coordination in all its forms, and disengage economically from Israel on the grounds that the transitional phase, including the Paris Economic Protocols no longer exist,” WAFA reported. In its decision, the Central Committee also expressed support for Abbas’ “opposition to the U.S. administration’s so-called (peace) Deal of the Century, accusing the U.S. of siding with the Israeli occupation and of being ‘part of the problem and not part of the solution,'” according to WAFA. Palestine Liberation Organization Executive Committee Secretary General and chief Palestinian negotiator Saeb Erekat said that severing ties with Israel would be done gradually, WAFA reported. Israel and the Palestinian Authority signed eight agreements between 1993 and 1999. Israel and the PLO exchanged a series of official letters of recognition between the government of Israel and its Prime Minister Yitzhak Rabin and the PLO’s chairman, Yasser Arafat, dated Sept. 9, 1993.